The American car brand Pontiac sold cars on the American, Canadian and Mexican markets between 1926 and 2010. The brand belonged to General Motors and was in the middle class segment of GM. The brand was particularly renowned for selling sporty and often highly performance-oriented cars. 27 April 2009 is a black page in the history of the automotive world. 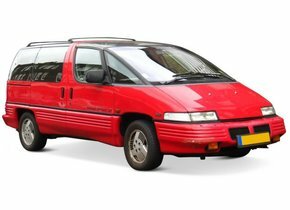 On this day General Motors decided not to continue with the Pontiac brand. It was a decision made mainly for financial reasons. The last Pontiac rolled off the band on 25 November 2009. 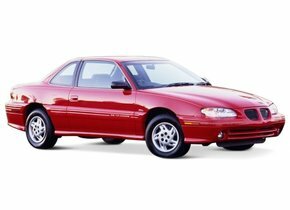 The fact that no more Pontiacs are produced makes them a particularly interesting collection item. Moreover, these cars drive delightfully. Are you still a proud owner of a Pontiac? Then you will undoubtedly want to keep them in the best possible condition. A damaged windscreen replacement of a Pontiac by Autoglas Concurrent ensures that you can always enjoy the best possible appearance and safety at all times. How does a damaged Pontiac windscreen occur? Damage to a Pontiac windscreen is always manifested in the form of an asterisk or cracks. Unlike a side or rear window, there is no need to fear that it splits into countless pieces. That will not happen. This is because the windscreen of a Pontiac is made of laminated glass. This is a window that consists of multiple layers of glass with an adhesive plastic film between them. This film sticks on both sides, which ensures that any damaged glass can be held together. In addition, laminated glass is given an extra strength during the production process by heating it quickly first and then cooling it down slowly. However, the fact that only an asterisk or crack can form in your windscreen does make it advisable to have a windscreen replacement of your Pontiac in certain cases. Many people are unaware that the purchase price of their new Pontiac windscreen is strongly dependent on the type of car window they choose. In the majority of cases, people opt for an original car window. The windscreen replacement of your Pontiac by means of such automotive glass with a brand logo will cost you a considerable amount of money. This has everything to do with the fact that such car windows cannot be sold by all parties. Only an authorised dealer is entitled to do so. 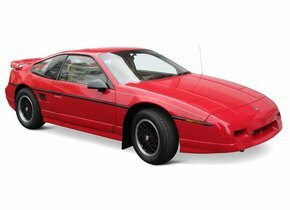 Of course, you can choose to use a second-hand original car window to replace the Pontiac windscreen, but even then you are usually even more expensive than a new after-market model. A windscreen replacement of a Pontiac with an after-market car window does not entail any difference in quality, on the contrary. The only structural difference between the two types of windscreens can therefore be found in the fact that only an original windscreen has a brand logo. No difference in quality is possible, so the windscreen replacement of your Pontiac with after-market automotive glass is always the most interesting. We can very simply conclude that no quality difference is possible because both the factory and the production line in which both types of car windows are produced are exactly the same. The windscreen replacement of your Pontiac by using an affordable and extremely high quality after-market car window is a nice feat, but what about replacing it yourself? In order to ensure that we can offer our customers the best possible quality in this area as well, we have chosen to outsource this to one of our FOCWA-certified partners. 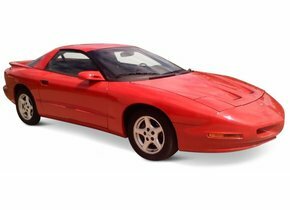 These professionals have a particularly long experience and therefore have everything in house for the windscreen replacement of a Pontiac in the most efficient way possible. In comparison with various other parties you never have to wait long with us and you can use your Pontiac back on the road in no time. Are you also looking for a party that can offer you the best possible price-quality ratio for windscreen replacement of your Pontiac? Do not search any further and call upon Autoglas Concurrent!